M.N. Mia, M.K. Hasan and K.K. Islam. 2016. Geochemical analysis of soils of Madhupur Sal forest of Bangladesh. Fundamental and Applied Agriculture. 1(1): 23-27. M.K. Hasan and M.B. Mamun. 2015. Influence of different stands of Sal (Shorea robusta C. F. Gaertn.) forest of Bangladesh on soil health. Research in Agriculture, Livestock and Fisheries. 2(1):17-25. Rajesh Sobhana Kumar, Nity Nishant, Syed Faiz-Ul Islam, Prabighya Basnet, Ehsan Ahmed Awan, M.K. Hasan and Rupa Upadhyay. 2013. Urban and Peri-urban Forest Resource Governance – Emerging Patterns in South Asia. SAARC Forestry Journal, 2:152-174. M.K. Hasan, Paola Gatto and P.K. Jha. 2013. Can environmental income from wild medicinal plants contribute to annual household income: a case study from Makawanpur district in Nepal. International Journal of Medicinal and Aromatic Plants. 3(1):18-26. M.K. Hasan, Paola Gatto and P.K. Jha. 2013. Traditional uses of wild medicinal plants and their management practices in Nepal-A study in Makawanpur district. International Journal of Medicinal and Aromatic Plants, 3(1):102-112. M.K. Hasan, T.A.P. Allerton and S. Brofeldt. 2012. Relationships between climate change and poverty in Sub-Saharan Africa: a study of young Danish public perception. International Research Journal of Applied Life Sciences. 1(5):1-14. Paul N, MK Hasan and MNU Khan, 2015. Effect of different doses of ipil-ipil (Leucaena leucocephala) (Lam.) de Wit. tree green leaf biomass on rice yield and soil chemical properties. Res. Agric. Livest. Fish. 2 (3): 385-394. M.N.U. Khan and M.K. Hasan. 2015. The performance of bitter gourd in association with karanja (Pongamia pinnata L.) tree. Research in Agriculture, Livestock and Fisheries. 2(1):63-73. M.A.A. Mamun, M.A. Wadud, M.K. Hasan and M.A.M. Miah. 2010. The role of women in the homestead afforestation activities of Mymensingh district. Journal of Agroforestry and Environment. 4(1):113-116. P.S. Kar, M.M. Islam, M.K. Hasan, M.A. Wadud and G.M.M. Rahman. 2009. Evaluation of CARE assisted roadside tree plantation program with particular emphasis on the socio-economic change of the beneficiaries in Sherpur district. Bangladesh Journal of Progressive Science and Technology. 7(2):233-236. S. Basak, M.K. Hasan, M.S. Islam and M.A. Wadud. 2009. The performance of Radish, Tomato and Soybean during the first year of Lohakat (Zylia dolabriformis) plantation. Journal of Environmental Science and Natural Resources. 2(1):185-189. M.A. Latif, M.S.H. Choudhury, M.A. Rahim, M.K. Hasan and B.K. Pal. 2009. Effects of spacing and age of seedling on the growth and yield of summer onion. Journal of Agroforestry and Environment. 3(2):129-133. M.S. Islam, M.A. Wadud, M.K. Hasan, M.M. Rahman and G.M.M. Rahman. 2009. The performance of three winter vegetables in association with Telsur (Hopea odorata). Journal of Agroforestry and Environment. 3(1):73-76. M.A. Khatun, M.A. Wadud, R. Yasmin, M.K.I. Sayed, M.K. Hasan and G.M.M. Rahman. 2009. Agroforestry practices with three winter vegetables during the early establishment period of Civit (Swintonia floribunda) plantation. Journal of Agroforestry and Environment. 3(1):1-4. M.S. Rahman, M.A. Wadud, M.K. Hasan, A. Chakma, and M. Ahmad. 2008. Prevalence of insect pests and their effects on growth and yield of mungbean grown under multipurpose trees. Journal of Agroforestry and Environment. 2(1):69-72. 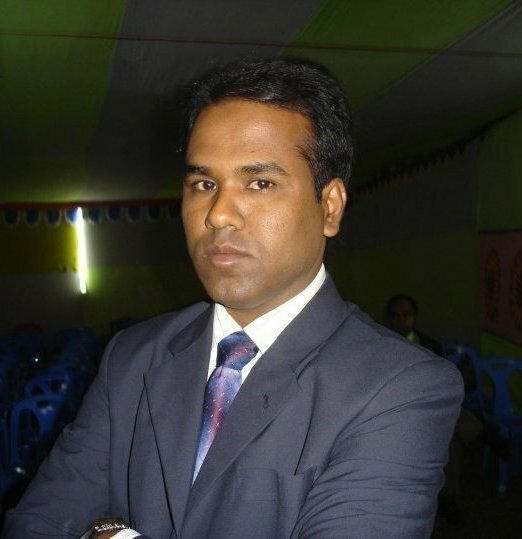 A. Chakma, M.A. Wadud, M.K. Hasan, M.S. Rahman and M. Ahmad. 2008. Insect pests and its effects on the growth and yield of soybean plants grown under three different tree species. Journal of Agroforestry and Environment. 2(1):23-26. Dil Atia Parvin, T.M. Zakaria, M.K. Hasan and G.M. Mujibar Rahman. 2007. Effect of leaf biomass of different agroforest trees on the prevalence of insects and yield of rice cv. BR11. Journal of Agroforestry and Environment. 1(2):59-62. M.K. Hasan, G.M. Mujibar Rahman and M. Mokhlesur Rahman. 2007. Effect of tree leaf biomass on the performance of rice cv. BR11 and subsequent soil health. Journal of Agroforestry and Environment. 1(2):7-10.